Come visit us on Houzz! 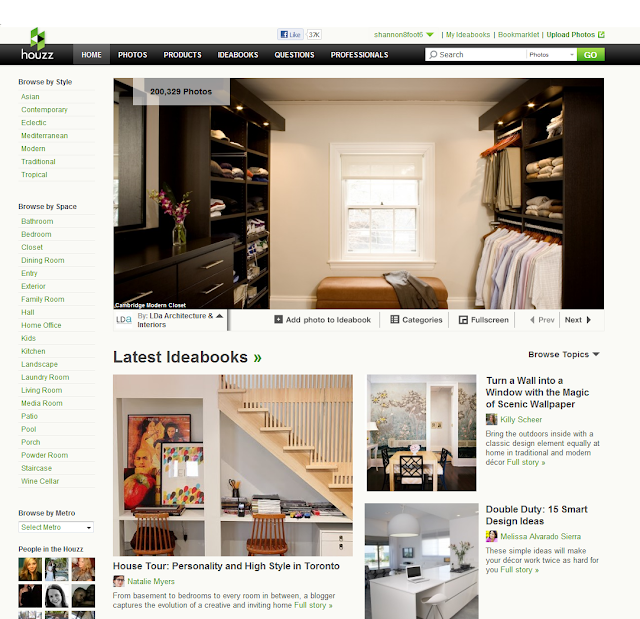 If you are joining us from Houzz - a very warm welcome!!! Congrats on the feature!! Loved reading more about your home. How cool! You have such a beautiful home! Amazing tour! I am completely house envy! Awesome spread, Shannon! Congrats on the feature!! Lots of beautiful photos. Your house looks stunning. I loved how you shared your experience with working with a designer. Would you mind sharing the name of your designer? Looks so profesh Shannon. The photos are styled beautifully! Congrats - your house looks so gorgeous! I think that's the first time I've seen you powder room! :) gorgeous. Congrats on getting featured. I LOVE your house. OMG Shannon! That was awesome! I loved seeing the full tour of your home! Love it all. ooh congrats! checking it out now! yeah this is so exciting! Congrats! Your home is gorgeous and I hadn't seen a few of the rooms. I especially love the drawing in the dining room - good call to have it enlarged. She helped us pick the major pieces of furniture, window coverings, pillows & accessories and art. We have subsequently layered additional furniture, accessories and some smaller pieces of art. Maya also helped us find our own style. We knew we liked clean lines, but we had never been exposed to some of the iconic pieces we now own and love. (This was before I discovered design blogs) She had patience to keep shopping after we had essentially rejected her top furniture choices (I don't know how anyone can do that!). Patience was required because we weren't always able to express exactly what it was we were looking for, or why something didn't appeal to us. I think most people could benefit from bringing the right designer in to help them furnish their home. I don't think you are giving up control over the end look of your home, at least that is not what it meant for us. We learned a great deal from Maya, and we will definitely ask her to help us out if we ever decide to move. Sorry for being long winded. Perhaps I could write a separate post about it sometime. If you are interested, please email me at eightfootsix (at) hotmail.com for Maya's contact info! Shannon, I keep meaning to post a comment to ask you where you purchased your living room rug from? Elte? It's beautiful.